A number of our host families have enquired about registering their au pair with Ofsted in order to make use of childcare vouchers. There are many different stages to Ofsted registration and it can be a fairly lengthy process (usually 12-14 weeks). Please note that the process cannot begin until your au pair has arrived in the UK. The au pair or nanny should call Ofsted and tell them that they want to become registered under the voluntary Ofsted registration scheme for home-based childcare. Ofsted will send out a form in the post to be filled in. The form must be returned with a valid Paediatric First Aid Certificate (further information below). Ofsted will carry out a police check (even if the au pair already has a CRB). If the person has lived in the UK for less than 5 years, then he/she will have to get a ‘good conduct letter/ certificate’ from his/her embassy which needs to be written in English or translated into English by an authorised translator. This depends on the country of origin of the au pair or nanny, so check with Ofsted first. Ofsted confirm that it is also acceptable for the au pair or nanny to get a police check from their country of origin and send it to Ofsted, but it must be an official document, on letter-headed paper, stamped and translated into English by an authorised translator. Ofsted will then send through another form (called a verify form) that must be taken to the post office, together with a form of ID (eg passport) so that their identity can be checked. The application fee, currently £103, must be paid. Annually, on the anniversary of the registration with Ofsted, the fee becomes payable again, as long as the au pair wants to remain Ofsted-registered. The au pair also needs a childcare (or similar) qualification from their home country, or from the UK, which is equivalent to level 2, or they must enrol on a Common Core Skills and Knowledge course (further information below). The au pair is also required to have personal public liability insurance, most households have an insurance which would not cover the au pair if she has an accident so she would need to acquire on of her own. The common core skills course is accredited at level 3 through Open College Network, providing au pairs registering with Ofsted with an official childcare qualification and covers the 6 common core skills areas required by Ofsted. Considering an au pair as an alternative to a nanny? Smartaupairs recognises that a number of our host families have employed nannies in the past, however as their children get older and the amount of care required decreases, they have found the au pair program to be a more suitable and cost effective option. Smartaupairs has collaborated with Sara Dawkins, active nanny and freelance writer, in order to discuss the reasons why you may wish to consider hosting an au pair as an alternative to employing a nanny. As your children become older and more independent, you will find that the hours and care required from your nanny will be reduced – you may no longer need a full time carer for your children. However, if you are employing a nanny, you are still obliged to pay a full time salary. An au pair can provide the same set of eyes to watch your children whilst putting less strain on your budget. Although you pay for an au pair’s room and board plus pocket money (beginning from £70 per week and in the vast majority of cases, below the tax threshold) this is by no means the hefty hourly wage associated with nannies. An au pair is more than just a live-in babysitter. A great deal of cultural understanding and enlightenment can be brought into the home due to the nature of the au pair program. Whether you are learning new recipes or about festivals and traditions in your au pair’s home country, the sharing of information can help your family to discover different cultures in a fun and interesting way. As the majority of au pairs are non-native English speakers, there is also the opportunity for your children to learn a new language. 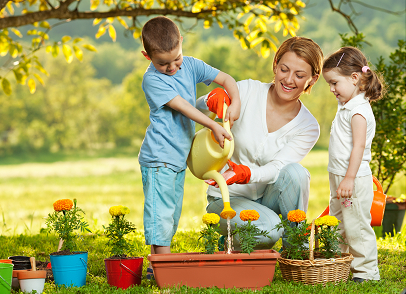 Many families prefer more the more relaxed atmosphere of an au pair as opposed to the rigid professionalism of a nanny. For au pair candidates, the program offers much more than just the chance to earn money – they have the chance to experience everyday life in the UK, perfect their English and become part of a host family. Many au pairs and families form a bond that lasts a lifetime and often visit each other long after the placement is over. It is this relationship that makes the program special and for this reason, many families prefer it over having a nanny who may view their role as nothing more than just a “job”. Sara is an active nanny as well as an active freelance writer. She is a frequent contributor of http://www.nannypro.com/. Learn more about her: http://www.nannypro.com/blog/sara-dawkins/. The immigration system is changing. From 29 February 2008 there will be tougher penalties for anyone caught employing illegal migrants. The most severe penalties, including unlimited fines and prison sentences, will be for employers that knowingly break the rules. But even those who unknowingly employ illegal migrants through less than diligent recruitment practices could face penalties of up to £10,000 for each illegal worker. In short, every employer needs to know what the rules are and what they must do to ensure they are not breaking the law by employing illegal migrants. It’s in your interest to make sure that the migrant workers you employ are eligible to work in the UK. Checking the documents of a prospective employee before you hire them provides you with what is known as a “statutory excuse” which may prevent you having to pay a civil penalty. For workers with a time-limit on how long they are allowed to be in the UK, you must repeat the document checks at least once a year. In the employment guide sent out to all Nannytax subscribers there is detailed information on which checks need to be made, along with a useful checklist. The Government is strengthening controls to ensure that migrant workers who come into the UK from around the world are working here legally. In spring 2008, a new Australian-style points-based system will be introduced for migration to the UK to work or study. This system will be introduced gradually. According to the Home Office this new system will make the process of migration clearer and fairer. Potential migrants from outside the European Economic Area (EEA) will be awarded points to reflect factors such as salary and qualifications, age and also the level of need in any given sector. This should allow the UK to respond flexibly to changes in the labour market. At the same time, the applicant should know exactly where they stand and whether they will be successful. Under the new system, if you want to bring a migrant worker from outside the EEA, you will need to register with the Border and Immigration Agency as an approved sponsor. Once you have registered, you will be given a licence to issue a certificate of sponsorship to the migrant worker you wish to employ. For more information please visit the Home Office website. As this will also be applicable to au pairs and Mother’s help candidates from outside EEA, BAPAA is currently investigating how best to assist host families by registering as Border and Immigration Agency as an approved sponsor on behalf of individual families.